Let us start with the premise that this is not ok. You didn't choose to live in Florida to wear sweaters and jackets and scarves, and it's quite possible you don't own them anyway! It's cold. Like ridiculously cold for our latitude. And it's going to be for awhile it appears. As long as this nonsense is gone by Gasparilla it'll be ok, but right now this is not very fun for the Tampanian. The freezing temperatures require us to adjust the normal day-to-day in the 813area. No more al fresco dining and Tampa Riverwalk, and least in the short-term. There are lots of places where you can stay indoors and still enjoy what is mostly an outdoor city. Here are the best things to do to stay warm in Tampa, and also get reacquainted with what makes the city so special. See the new Star Wars and the Power of Costume exhibit at the Museum of Fine Arts. The new 4D Theater at the Florida Aquarium is showing The Polar Express with bubbles, winds, and scents to make you feel like you're in the film itself. And until the train flies by you, you'll be warm. Oh, so warm. The Made in Tampa exhibit currently featured at the Tampa Museum of Art shows modern pieces from hometown artists, as well as the rest of their extensive collection. And the restoration of the Tampa Theatre is complete, but their special popcorn is still as delicious as ever. Their shows range from 80's films to stand up comedians, but all come with climate control. There's always been plenty of places to shop in Tampa, but a lot of them aren't designed for this type of temperature. Sorry Shops at Wiregrass and Tampa Premium Outlets, your outdoors are normally beautiful, but not this week. International Plaza and Bay Street is the fanciest mall in Tampa, and big enough to keep you occupied for most the day, but Westfield Brandon Town Center might have some better bargains. Same with its sister property Citrus Park Town Center, as well as the full-of-good-dining Westshore Plaza. Maybe pick up an overcoat while you're there (apparently they're all the rage in the Northeast Corridor), you just might need it. 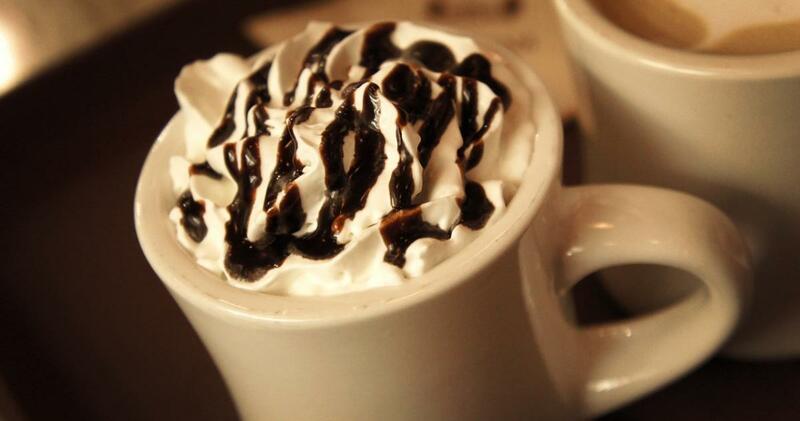 Drink good coffee and hot chocolate! You're probably aware Tampa has no shortage of fabulous coffee roasters, such as Buddy Brew Coffee, Zeal Coffee Roasters or Kahwa Coffee for three. But the hot chocolate game is a bit different, and Mini Doughnut Factory brings it in spades. A steamed cup of delicious will run you just $3.50, but oh wow is it good. And when you're in North Tampa check out one of the two locations of Felicitous Coffee House. They make a hot cocoa that will melt the chill in your bones, as well as your heart with their amazing shabby-chic decor. So keep thinking warm thoughts, but remember there isn't much you can do about this 40's (and 30's, eek!) nonsense until it passes. But we live in Tampa, and Spring Training will be here before you know it, along with some more Florida appropriate weather. Until then, be careful out there, and wear layers! Looking for more Things to Do in Tampa? Keep it here at 813area. And be sure to register: it's free!